Rothy’s likes ASE – get $20 off your next pair. Rothy’s take women’s shoes to another level. They have the ease of a sneaker but the style of a classy flat. They are made from recycled water bottles and they are recyclable. They are machine washable and dry quickly – we’ve tried it. They are entirely flexible and they breathe like mesh. They are assembled by hand and are seamless. The shoes feel like fabric, not plastic, and the material never causes blisters. They are knitted from a computer program on a 3-D printer. Each pair takes 6 minutes to make and there is no waste. They have removable insoles which allows wearers to use their own arch supports or orthotics. Best of all, Rothy’s liked our ASE article they are rewarding the first 50 ASE readers to order shoes (new customers only) with $20 off (and shipping is free on the website). To get your discount, send your name and email to asharpeye@gmail.com and we’ll send you the link to get your Rothy’s promo code. Note: If you purchased shoes today and encountered a problem receiving your discount, Rothy’s is sorry. They had a glitch. Please send your order number to asharpeye@gmail.com and you will receive your $20.00! 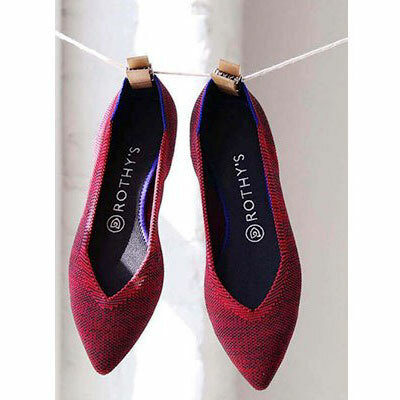 The backstory on Rothy’s – New to the fashion industry, the two founders, from San Francisco, designed Rothy’s for their wives who were always looking for the perfect flat – and they got it right – they are great looking! Roth Martin is the creative officer and namesake, and Stephen Hawthornthwaite is the CEO. The two founders spent four years trying to design the perfect, environmentally friendly, flat. They have succeeded. There are currently three styles – a pointed toe which is called The Point ($145), a round/ballet toe called The Flat ($125) and the brand-new loafer ($165) which comes up further on the foot than the others. There are many colors and patterns for each style and Rothy’s is always introducing new styles and colors. 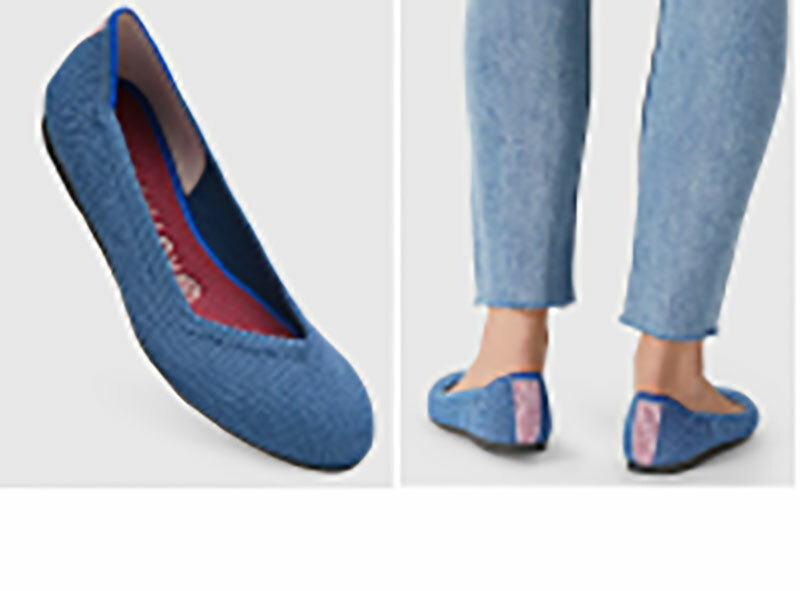 Their most popular shoes (like The Loafer in Navy Heather) currently have a waiting list. Ginny and I each have several pairs, and they are our go-to shoes. We wear them all day and out in the evening and receive many compliments on them. Their first investor, a venture capitalist, heard about the shoes through word of mouth. The investor predicts Rothy’s will become as big as Tom’s and UGGs. I agree. Here are some of our favorite Rothy’s. The Black Solid Point, $145. The Indigo Mini Stripe Flat, $125. Share the love! Use my code and then get a code of your own! I’m almost to a free pair of Rothy’s thanks to their referral program. Now that I have a pair I’m obsessed and so excited to get another pair for FREE! The first investment was a tough pill to swallow, but after I heard of a friend getting a couple pairs for free, I thought I’d give them a try and I’m so glad I did! Up dated code & info! Love these, wear to work daily, have 8 pairs now! 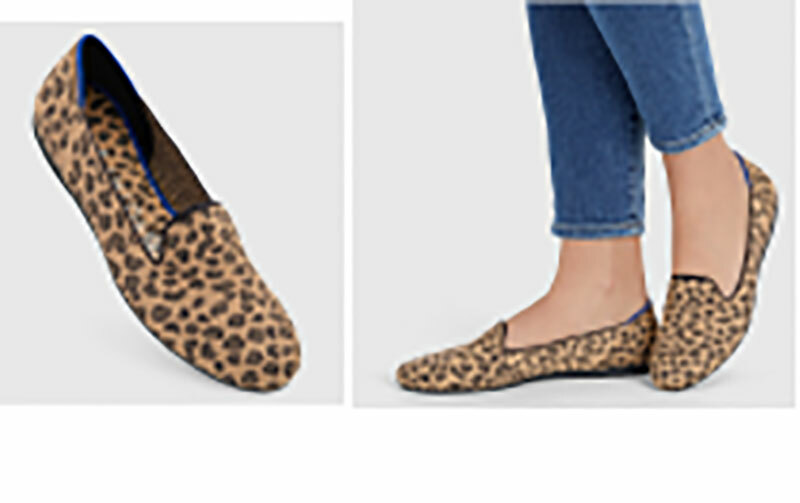 I’ve added leopard loafers & grey camo flats (round toes)… love them all! I seriously say… GO AHEAD & GIVE THEM A TRY – SO WORTH THE $$$! Click the link below to save $20 off of your 1st pair! https://www.talkable.com/x/GeHnv1 – btw, codes expire after 30 days! New code for $20! These are truly the greatest shoes ever. here is my share code – Feel free to use it for $20 off! I have 2 pairs of Rothy’s and have been really happy with them both! I have a pair of black loafers and a pair of leopard print flats. The flats fit me true to size but I had to send back my regular size in the loafers and go up a half. Both are comfortable and I love that you can wash them!